Unroll the crescent roll dough. Cut the dough into 12 equal squares. 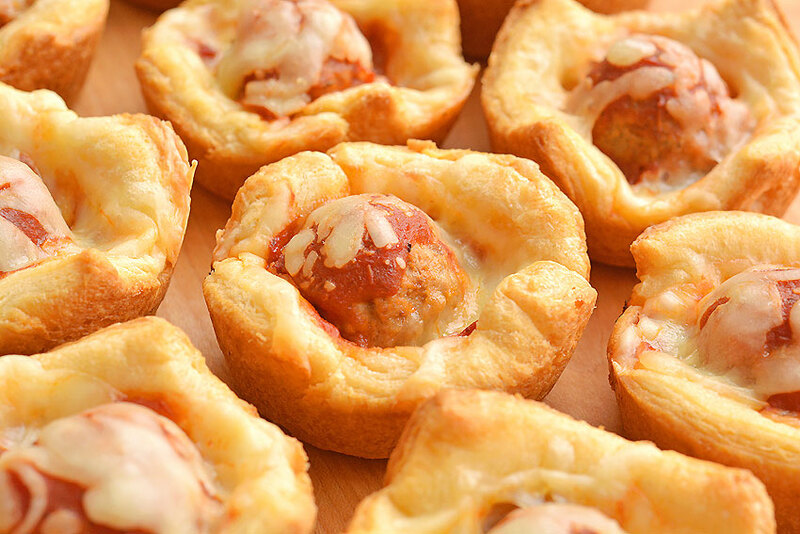 Press each square of dough into each space in the muffin tin. Reshape the dough so that it completely covers the bottom and comes up the sides a little. Add a small amount of pasta sauce (approximately 1 teaspoon) to each one. Then sprinkle some cheese on top. Add a frozen meatball to each one. Then add another spoonful of pasta sauce and another sprinkle of cheese. Bake at 375F for about 15 minutes, or until the cheese is completely melted and the edges are golden brown.